The launch of a Soyuz rocket from French Guiana with four more satellites Thursday to join SES’s O3b broadband network will help satisfy growing bandwidth demands in Latin America, Africa and the Pacific islands until the deployment of a new generation of upgraded spacecraft in 2021, SES officials said. 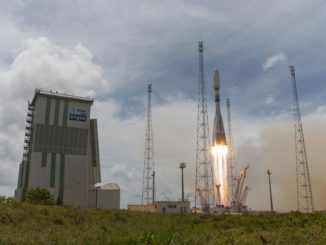 Four more satellites for SES Networks’ O3b broadband fleet launched Thursday aboard a Soyuz rocket. Liftoff of the Soyuz launcher from the Guiana Space Center in South America occurred at 1703 GMT (1:03 p.m. EDT). 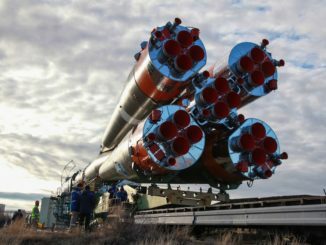 Russian ground crews working in starkly different environments on the barren steppes of Kazakhstan and in the lush jungles of South America are readying a pair of Soyuz rockets for two launches Thursday, one to resupply the International Space Station, and another to broaden the capacity of SES’s O3b Internet network. 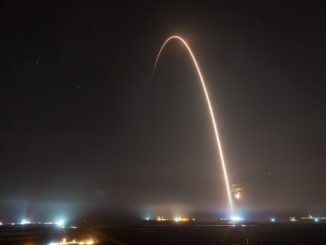 Photos from the liftoff of a SpaceX Falcon 9 rocket early Monday from Cape Canaveral show the 20-story launcher climbing into a starry sky with the SES 12 communications satellite. 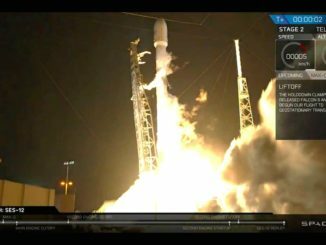 Watch a replay of the launch of a SpaceX Falcon 9 rocket from Cape Canaveral shortly after midnight Monday with the SES 12 communications satellite. 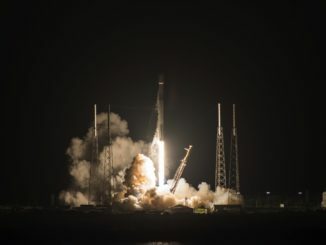 A powerful commercial communications satellite driven by plasma thrusters rode a reused SpaceX Falcon 9 rocket booster away from Cape Canaveral early Monday, climbing into orbit to connect companies, homes, airplanes and ships across much of the Eastern Hemisphere. 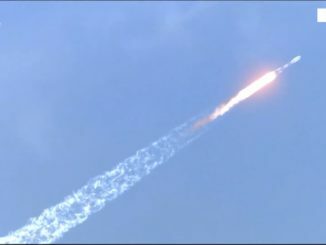 Flying with a reused first stage booster, a SpaceX Falcon 9 rocket climbed into orbit from Florida’s Space Coast early Monday with a commercial communications satellite for the Luxembourg-based operator SES. 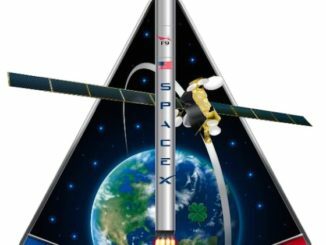 SpaceX’s Falcon 9 rocket is set for liftoff from Cape Canaveral on Monday, heading due east over the Atlantic Ocean to deliver the SES 12 communications satellite into orbit around 32 minutes later. 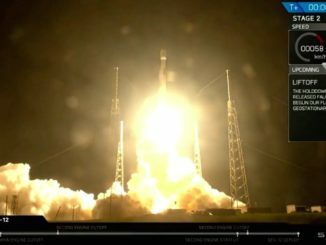 SpaceX has launched a Falcon 9 rocket with a previously-flown first stage booster carrying the SES 12 communications satellite, an all-electric, multi-band video and data relay platform to serve the Asia-Pacific region. 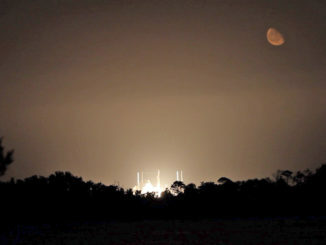 Liftoff from Cape Canaveral occurred at 12:45 a.m. EDT (0445 GMT), and SpaceX did not plan to recover the first stage. 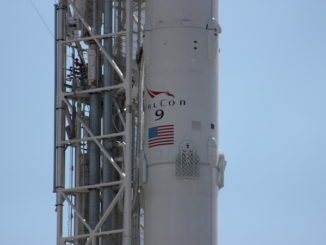 SpaceX has delayed the launch of the SES 12 commercial communications satellite from Cape Canaveral until Monday to conduct additional tests on the Falcon 9 rocket’s second stage, officials said Thursday.